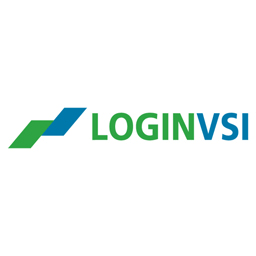 Login VSI (www.loginvsi.com), the industry leader in SBC, VDI and DaaS performance testing and active monitoring, introduces an important new feature and extension to their flagship product Login VSI for Load Testing. Login VSI is the industry standard performance testing tool for SBC and VDI. It is vendor independent and works in every centralized Windows based desktop environment. Login VSI uses the accepted indices VSIbase to define the baseline performance of a VDI/SBC/DaaS infrastructure, and VSImax to define the maximum number of users that can work on that system with an acceptable performance. With the emergence of Cloud and Hyper Converged Infrastructures (HCI), the concept of maximum number of users is getting obsolete. In tests of these auto-scaling infrastructures the VSImax score is never reached. The index VSIbase remains valid as a description of baseline performance (one user). Login VSIavg 100, 250, 1000 and 5000 To address this changing need we created 4 new indices: VSIavg 100, VSIavg 250, VSIavg 1000 and VSIavg 5000. These fixed number indices give an exact performance measurement for a system that is simultaneously used by 100, 250, 1000, or 5000 active users. Based on the highly standardized test methods and -workloads in Login VSI these new indices make performance comparisons between different VDI infrastructure solutions, on-premises versus off-premises, and different cloud solutions (e.g. Azure versus AWS), highly objective and easy to understand. The new indices add a number of fixed data points to the existing VSI Index Average that already provides a linear representation of the average performance. The VSIavg100 and VSIavg250 are designated to compare small/medium sized environments, the other two are for large environments.